Special Effects Division | Ocean State Pyrotechnics, Inc.
We can provide just about any effect, gag or prop that you can think of. 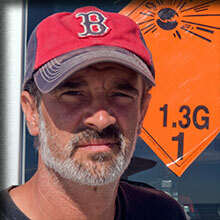 Special Effects Supervisor John Ruggieri has worked on a multitude of shows all over New England and New York. With years of experience in all types of special effects and his attention to detail, John brings a total package to every job. 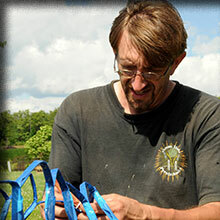 Along with this, John is a level 8 Master Pyrotechnist and his pyrotechnic skills can be seen in movies and T.V. shows filmed all over the New England area. Fully licensed, bonded, and insured, for storage, transportation and actual shooting. Jay Stone is Ocean States Pyrotechnics Renaissance man. After just 30 plus years in the Film, Television and Theater business, Jay has become a world-class expert in props and wood working of all types. You name it: Foams, Plastics, Breakaways, Jay has done it all. Check out samples of his creations in our prop section. Jay Stone also carries a State of Massachusetts special effects license and is the OSHA training instructor for Local 481 Studio Mechanics Union. Special Effects Foreman Ralph “Butch” Wilber has been the right arm (not hand) for Ocean State PyroTechnics for over two decades. 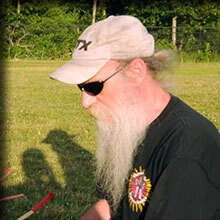 Licensed in several states and fully experienced in all special effects and display fireworks, Butch is the safety-training instructor for Ocean State PyroTechnics. Lead PyroTechnician and D.O.T. 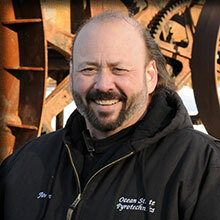 Compliance Officer, Sam Dinwiddie has been with Ocean State Pyrotechnics since our inception. He has been one of our top techs for 14 years. With artistic creativity and a sterling safety record, Sam is one of the shooters that others look to for tips on becoming a more precise tech. Special Effects Pyro-Technician / Director of Operations, Juliana Lima (L) handles all things related to Ocean State Pyrotechnics. When she is not managing the office, she is out on the field working on film sets and at firework displays. She holds a powder card in MA and a pyro license in RI as well as a Hazmat CDL. 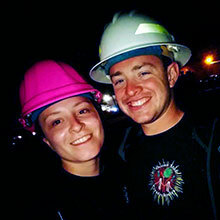 Technician Madison Lustig (R) works part-time with Ocean State Pyrotechnics on firework displays. He works alongside Juliana Lima in training new employees. He pays attention to detail and most importantly, SAFETY. Dee Roche (Special Effects Technician), Tommy Carroll (Special Effects Technician & OSP Shop Foreman) and Melissa Asci (Special Effects Technician). We also have a full line of effects for promotional events, weddings, parties, ground breakings, etc.